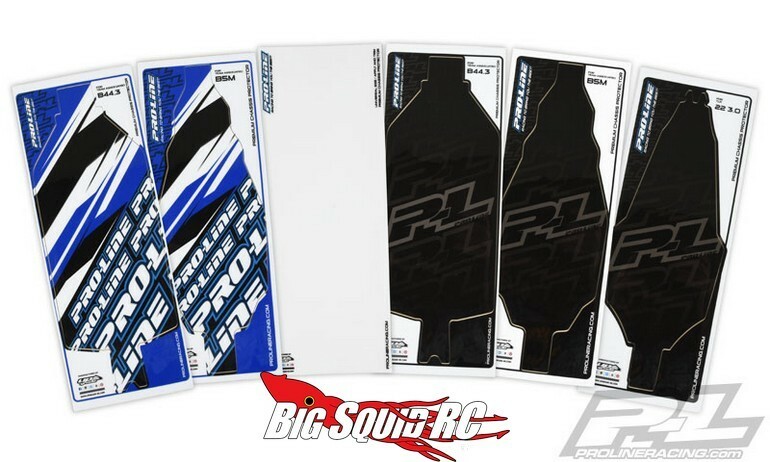 Pro-Line Chassis Protectors « Big Squid RC – RC Car and Truck News, Reviews, Videos, and More! Keep the chassis pristine on your 1/10th buggy or stadium truck with a new Chassis Protector from Pro-Line Racing. Chassis protectors also help keep dirt out of screw heads and can look pretty trick when installed. The Pro-Line chassis protectors are made from extra thick 0.5mm material and are available in clear, with a team design, or in black. A universal chassis protector will be available, as are units that are pre-cut for the Associated B5M, Associated B44.3, and the TLR 22 3.0. Pricing is just $11 and full details can be found at This Link on Pro-Line’s website. Read about more new products from Pro-Line at This Link on BigSquidRC.